Mr. Eisner, can you pick out the beautiful, funny women in this picture? The Former CEO of Walt Disney, Michael Eisner, is so right. It’s almost impossible to find beautiful, funny women to star in major motion pictures. 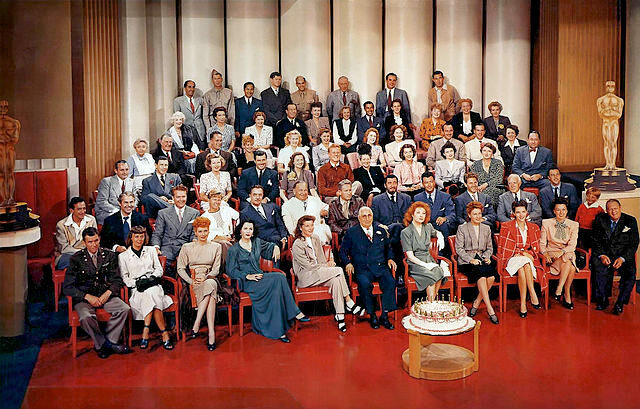 Just ask: Carole Lombard, Mae West, Jean Arthur, Irene Dunne, Jean Harlow, Ann Sheridan, Myrna Loy, Ginger Rogers, Marilyn Monroe, Maureen O’Hara, Doris Day, Jane Fonda, Lucille Ball, Judy Garland, Katherine Hepburn, Kim Basinger, Michelle Pfeiffer, Sandra Bullock, Meryl Streep, Tina Fey, Drew Barrymore, Julia Roberts, Amy Poehler, Meg Ryan and a whole host of women, living and dead, who have starred in and sometimes produced hit comedies. The list is incomplete, but the point is that while Mr. Eisner was trying to heap praise upon Goldie Hawn, another name on this list, he decided to make a statement that speaks volumes for the way women are valued in Hollywood groupthink. They are commodities, traded like baseball cards (actors are treated this way too if they don’t have enough clout to take creative control of their projects). Being an actor is tough, but being a female actor, much less a person of color, is even harder. These days, there are less “good ol’ boys” in the room to slap you on the back and wink and nod. There’s the rub, Mr. Eisner. Save those comments for the Palm Beach Country Club rub down and let these talented women with their volume of work speak for themselves. In other words, leave the intelligent TED talks to the big girls, ok?